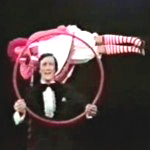 David Nixon was an English magician and television personality. 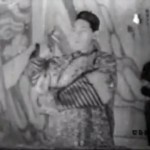 At the height of his career, Nixon was the best-known magician in the UK. Nixon’s father was a lawyer whose hobby was magic and who took David to watch performers such as Nevil Maskelyne and David Devant. 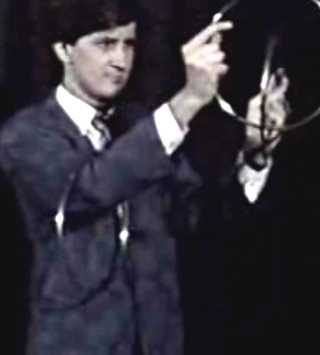 One magician who made an early impression on the young boy was Stanley Collins, who had a gentlemanly image which influenced Nixon’s later performing style. Nixon started performing magic himself after an aunt bought him an Ernest Sewell Magic Box one Christmas. 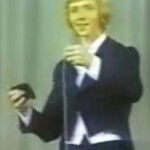 Watch David Nixon perform the Stage Hand Illusion on the David Nixon Show (1975). This entry was posted on Sunday, March 14th, 2010 at 12:00 am	and is filed under stage magic, top rotation. You can follow any responses to this entry through the RSS 2.0 feed. Both comments and pings are currently closed.